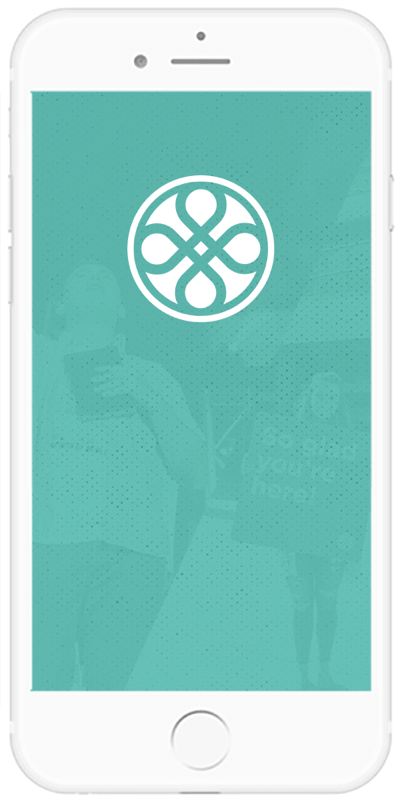 Mitch Lunceford is the founding and lead pastor of Piedmont Chapel in Greensboro, NC. After graduating High School in Opelika, Alabama, Pastor Mitch knew that he had been called to ministry and moved to Baltimore, Maryland to pursue mission work in the inner-city. While living there, he met his beautiful wife, Whitney. They now have two children—Jamon and Ellie Grace. Pastor Mitch is an ordained minister and has a bachelor’s degree in church leadership from Lee University. 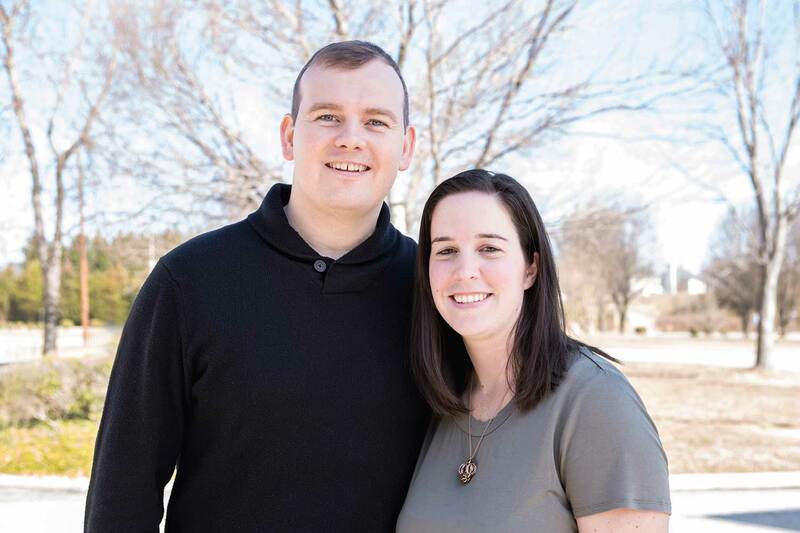 Mitch and Whitney are dedicated to showing people the love of Jesus, as well as helping them become fully devoted followers of Christ. 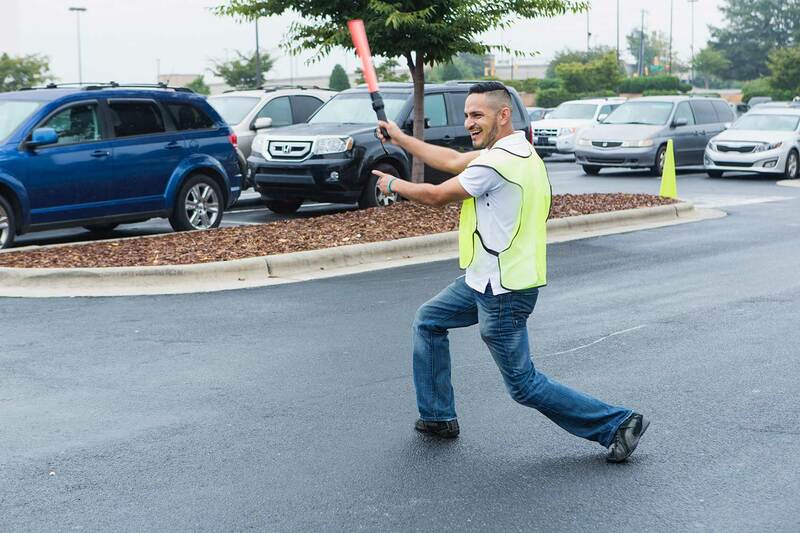 They share a deep passion for spreading the good news of God’s love and serving the people of the Piedmont Triad. In 2013, a small group of seminary students felt God calling them to start a church devoted to helping all people find new life in Christ. 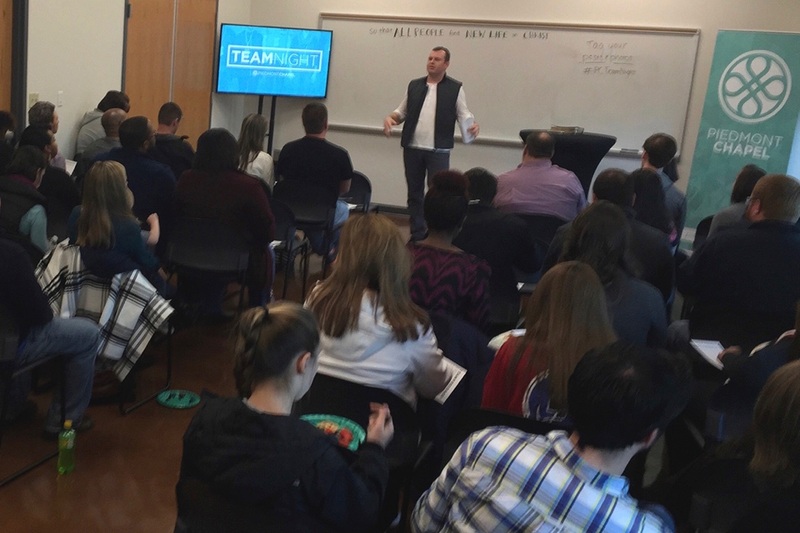 Led by Pastor Mitch Lunceford and his wife Whitney, they began planning a church that would intentionally cross-cultural and generational boundaries, one that would bring people from all walks of life together into the family of Christ. The idea proved contagious and, in early 2014, a group of 11 families relocated to the Piedmont Triad to turn this vision into a reality. 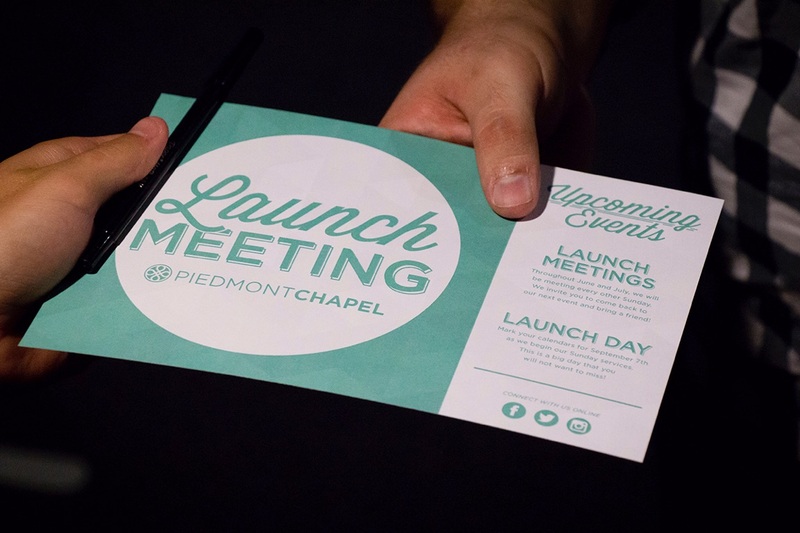 After an initial public interest meeting that drew 36 people to a high school library, Piedmont Chapel officially launched on September 7th, 2014, in the Four Seasons Grand Theatre. 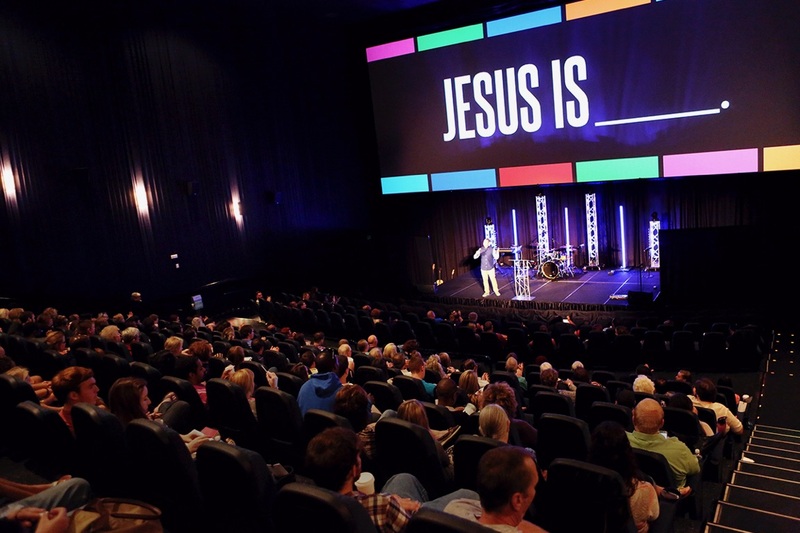 Teams of volunteers transformed the movie theater every Sunday into a place of worship and community, a place where people of all races and beliefs could come and encounter God. It wasn’t long before that small group of 36 had grown into a thriving congregation of 500 people. 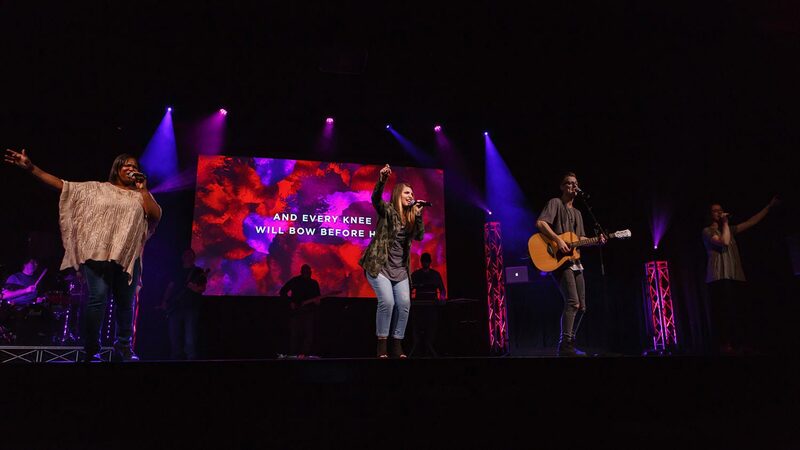 Services expanded to include two worship gatherings each Sunday, a vibrant kids' ministry, numerous small groups, an online streaming campus, and large community outreach events. 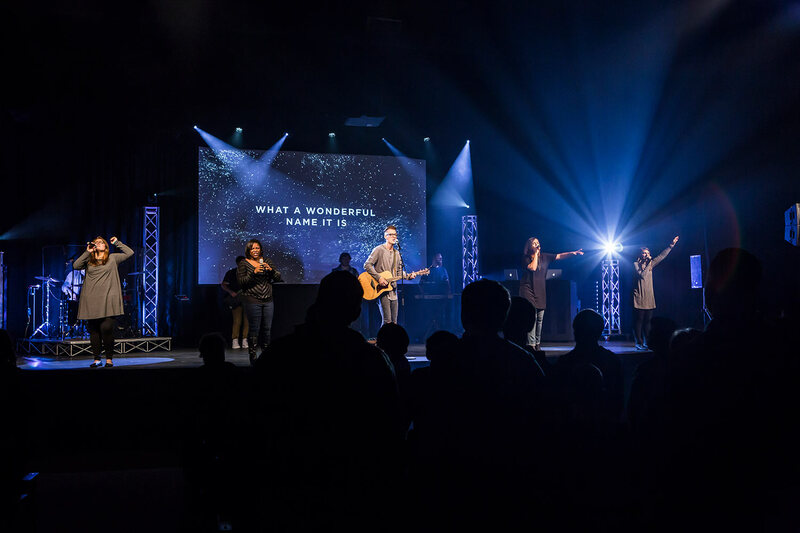 After two years of continual growth, Sunday morning attendance surpassed the capacities of the Grand Theatre and, in January 2017, Piedmont Chapel relocated to Southwest Guilford High School. Since that first group of young students followed the dream that God put in their hearts, over 550 people have found new life in Christ. Every week, countless people are encouraged by Pastor Mitch’s uplifting messages, families across the Triad open their homes to others to study the Bible and share their lives in small groups, and many volunteers devote themselves to doing whatever it takes to serve residents of the Triad. Through it all, the church remains committed to helping all people find new life. The dreams of that first small group have been met and exceeded, blessed by God in ways they could not imagine. And still, we know that the best is yet to come. God is great—He is all powerful, all knowing, ever present, unchanging, completely worthy of our trust, and above all, holy. It is in Him that we live, move, and exist. God is good; He is our Father. He is loving, compassionate, and faithful to His people and His promises. Jesus Christ is completely human, but at the same time, completely God. He is the only plan for bringing people who are far from God back into a right relationship with God. He lived a perfect life so that He could be a substitution for us in satisfying God’s demands for perfection. He defeated death in His resurrection so that we could have life. Man is made in the image of God and is the supreme object of His creation. Man was created to have fellowship with God but became separated in that relationship through sinful disobedience. As a result, man cannot attain a right relationship with God through his own effort. Every human's personality is uniquely created, possesses dignity, and is worthy of respect and Christian love. Water baptism is an outward expression of an inward transformation. Following being born-again, the Word of God instructs believers to be baptized in water in the Name of the Father, the Son, and the Holy Spirit. When you come to Piedmont, you can expect to be welcomed into a friendly, positive environment by people who are genuinely excited to see you. Our gatherings last about an hour, are filled with great music, and include an inspiring message from the Bible by our pastor. Arrive a few minutes early to grab a hot cup of coffee on us! Sundays will quickly become your family’s favorite day of the week. Our age-specific lessons will ensure that your child has a ton of fun as they learn about Jesus. 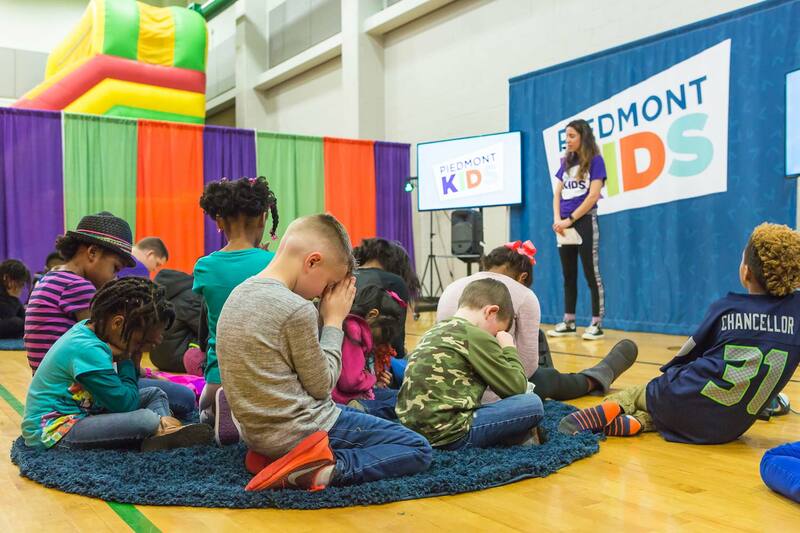 Our Piedmont Kids team is committed to providing an environment that is safe, clean, and fun for your children while you enjoy the worship gathering. 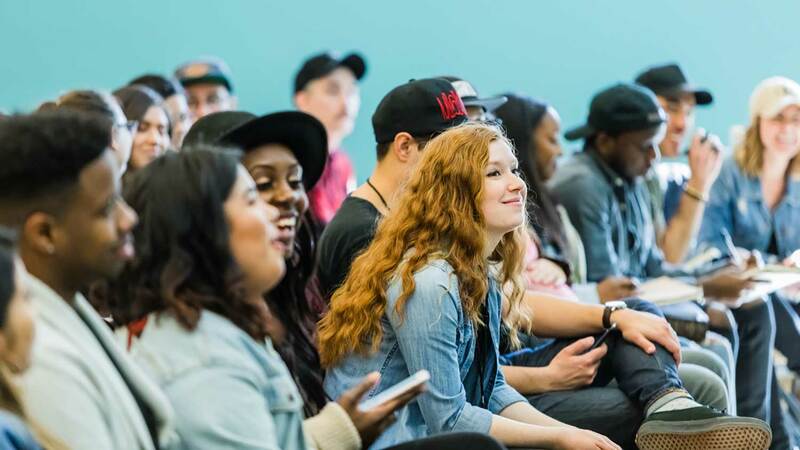 We're committed to providing small groups and fun activities for students (6th -12th grade) to connect with God, with other students, and with older, inspiring leaders that are dedicated to seeing students grow closer to Jesus. Browse our groups for students by clicking below. Piedmont Chapel doesn’t just happen week to week. It’s built and accomplished by everyday people just like you who desire to see “all people find new life in Christ”. Start making a difference and see lives touched by serving on one of our teams. 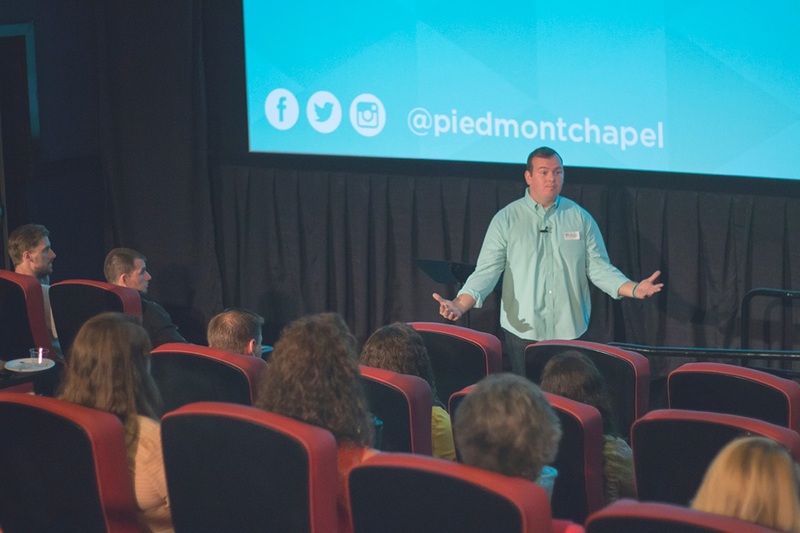 Small groups are the heartbeat of Piedmont Chapel. You will feel like family and build meaningful relationships. 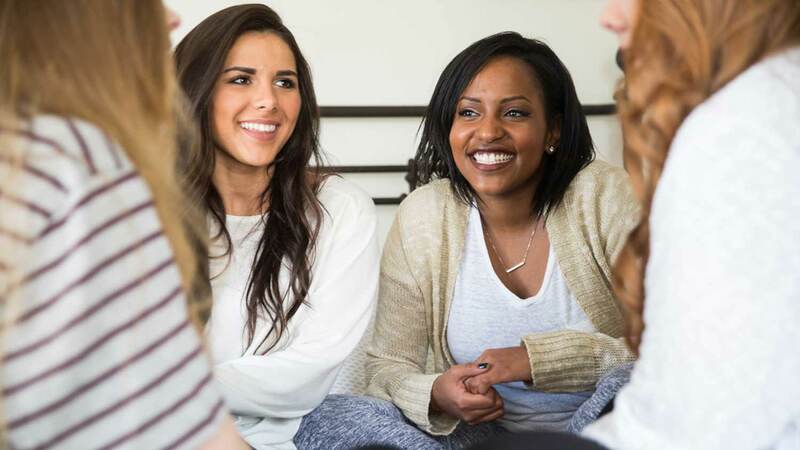 No matter what your interests, goals, or stage of life, there's a small group that will be a great fit for you. Piedmont Worship exists so that all people experience JESUS. We believe that one moment in the presence of God can change someone's life forever. Our worship team is committed to doing whatever it takes to create excellent environments every Sunday. Piedmont Students is dedicated to providing a place for students (6th -12th grade) to connect with God, with other students, and with older committed leaders that are dedicated to seeing students grow closer to Jesus. Piedmont Students meets every Wednesday at 6:30pm at Southwest Guilford High School. For questions or more information, contact us below.